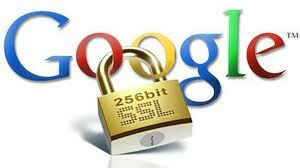 Google searches utilise encryption technologies for added security and where this has previously been optional, it will be made mandatory by them in early February 2015. In order for the RM SafetyNet Filtering service to perform filtering on all Google searches (such as images), there is a need to decrypt, analyse, and then re-encrypt all traffic using the RM SafetyNet security certificate. Schools are being contacted by South West Grid for Learning (SWGfL) by email or phone or they may have seen notifications on the RM website. RM run the Internet service for SWGfL and have setup resources to aid schools in making the required changes. If the changes are not carried out (as above) then although Google searches will still work, they will be not be completely unfiltered – for example, a Google image search may come up with inappropriate preview images, although a user would not be able to enter the website if clicked on. RM have made information and instructions available at the following locations allowing schools to make the necessary changes, as well as providing a Technical Helpline on 01235 826263. Instructions on deploying on a vanilla Windows networks and CC4 networks are covered. There is a table on pages 4 & 5 that covers what the new Proxy Server should be set to, e.g customers which currently use proxy.swgfl.org.uk need to switch to sslfilter.proxy.swgfl.org.uk. Posted in Admin Installations, Curriculum Installations, Data Security, Internet Explorer, Network & Data Security, Networking, Policies, RM CC4, Software Packages, SWGfL, Technical and tagged certificate, filtering, google, proxy, RM SafetyNet, SWGfL. How to connect a Google Chromebook to a Wireless Network. How to connect your iPod or iPhone to a Wireless Network.